AFDCS Charter Member Alan Warren is the recipient of the American Philatelic Society’s second annual Charles J. Peterson Philatelic Literature Lifetime Achievement Award for furthering knowledge through philatelic literature. Alan’s involvement with philately and philatelic literature began in college, where he served as president of the campus stamp club and editor of the University of Pennsylvania Philatelist. At that time, he also became a charter member of the American First Day Cover Society and began writing the “Question Box” column for First Days, which he continues to this day. Alan’s passion for philatelic literature is well known. 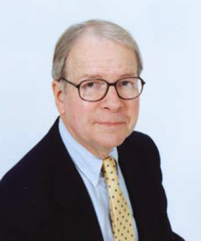 His writing has appeared in more than sixty philatelic journals in the United States and abroad and includes feature articles, columns, and news items such as book reviews, convention reports, collector profiles, award results, obituaries, press releases, and article abstracts. He was president of the APS Writers Unit 30. Alan’s many philatelic honors are well-deserved. Among these are the AFDCS’ Distinguished Service Award, Glenn C. Michel Service Recognition Award, Honorary Life Member No. 13; Scandinavian Collectors Club, Carl E. Pelander Award for outstanding work in furthering the SCC; APS John N. Luff Award for exceptional contributions to philately; Fifty-Year APS member; U. S. Representative for NORDIA 90; APS Writers Unit 30, Hall of Fame and Distinguished Service Award; elected Fellow of the Royal Philatelic Society London; and Military Postal History Society, Outstanding Service Award. But more important than any of these accomplishments is the manner in which Alan contributes to philately. He is courteous, self-effacing, listens well, mentors extremely well, and is a model for us all to aspire to emulate. Congratulations, Alan. You have set the bar high.